Echipa AVmall incearca sa mentina acuratetea informatiilor din acesta prezentare. Cu toate acestea, in anumite cazuri, pot aparea mici inadvertente pentru a caror semnalare va suntem recunoscatori. Ne poti contacta oricand pentru a clarifica eventuale nelamuriri. Nu uita sa mentionezi in corespondenta ta numele exact al produsul. Fotografia produsului Modul Amplificator Dayton Audio KAB-250 V3 are caracter informativ si poate sa difere de produsul real sau sa contina accesorii neincluse in pachetul standard al produsului. Specificatiile tehnice pot contine erori de operare si pot fi schimbate fara instiintare prealabila de catre producator, neconstituind obligativitate contractuala. The extremely versatile Dayton Audio KAB-250v3 Bluetooth Amplifier Board allows for quick and easy addition of audio to any project, speaker build, point of purchase display, kiosk, or any location where audio enhances the experience. 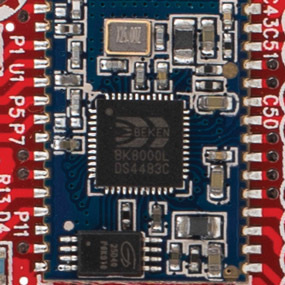 With an output of 2 x 50 watts, there is more than enough power to drive stereo speakers, yet the board is small enough to integrate into nearly any project. The Dayton Audio KAB-250 Bluetooth Amplifier Board delivers high quality sound without drawing a lot power. 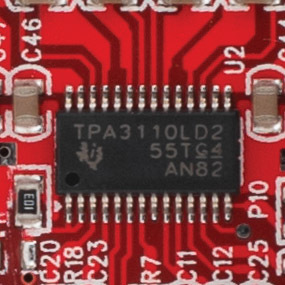 This is due to the highly efficient Texas Instruments TPA3116 Class-D amplifier chip. The TI TPA3116 operates at 90% efficiency, which becomes a major advantage when powering from batteries as it prolongs the playtime of a single charge. Its ultra-low distortion and pop-free performance make this hi-fi amplifier board an integral asset in any quality audio build. Unlike other amplifier boards, the Dayton Audio KAB-250 includes a built-in Bluetooth 4.0 module with aptX. The advantage of Bluetooth 4.0 is its low power consumption which prolongs the playtime of battery powered builds. The streaming audio quality rivals that of CDs thanks to the addition of the aptX codec by CSR. Designed and built for Bluetooth demonstration purposes, this fully functioning module provides a turn-key approach to Bluetooth certification for consumer goods. If the application of this board is for the hobbyist or industrial purposes then nothing is required to enjoy the full convenience of pairing and streaming high quality Bluetooth audio. The KAB-250 is also CE and FCC ready for certification purposes. Included with the KAB-250 are two wire harnesses: one for DC power and the other for connecting to stereo speakers. For many users, these cables are all that is needed to complete a project. 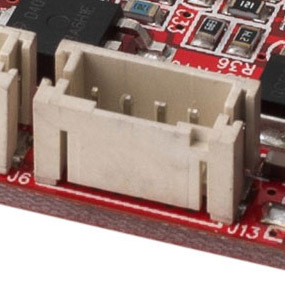 Since they have Molex Mini Fit Jr connectors to speed-up installation and create confident a connection, there is no need to solder or troubleshoot loose and unstable contacts. Dayton Audio also offers a variety of accessories with robust features to make installation even easier. Find out more about optional accessories below. Nu sunt recenzii pentru Modul Amplificator Dayton Audio KAB-250 V3. Fii primul care scrie una!